In the inner part of Mecklenburg the Mecklenburg Lake District is the most famous attraction for water sports enthusiasts and nature lovers. Located between the town of Schwerin and the Uckermark region you find thousands of idyllic lakes. Many of them are connected by channels and are perfect for an extensive boat trip. The Mecklenburg Lake District had arose during the last Ice Age. All lakes are glacial lakes. The biggest one of them is the Müritz which can be explored during a guided hiking tour of the national park. 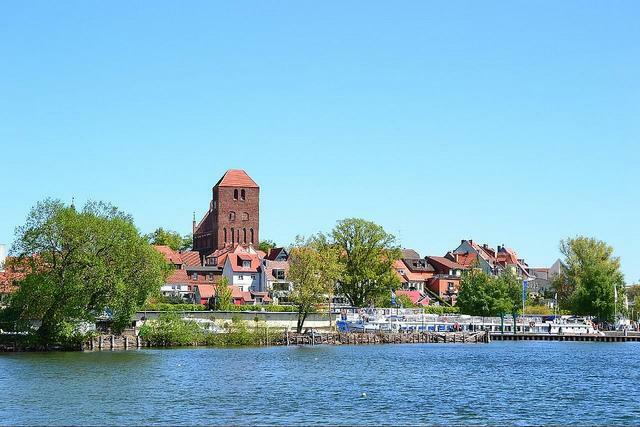 Most famous towns along the Müritz are Waren, the recreational village Röbel and the small town Malchow. The most idyllic part of the Mecklenburg Lake District is the Mecklenburg Switzerland. Forests, meadows and lakes are part of this diversified landscape. Everything is towered by the 96-meter-high Röthelberg. At the Krakower lake numerous bird species are hatching their eggs. When you are very lucky you can discover a sea eagle or an osprey. Close to the town of Krakow many mystical hill graves and stone circles can be found. Another beautiful holiday destination in the Mecklenburg Lake District is the Plauer lake where the river Elde flows through and forms one part of the Elde-Müritz-waterway. One of the most stunning recreational regions in Mecklenburg is the Feldberg-Lychener lake landscape. The Große Stechlinsee lake and the Schmale Luzin, which is party 50 meter deep, are both great places for bathing. The Mecklenburg Lake District is a great holiday destination for everyone. A paradise with water, forests and peaceful hiking paths is the Müritz-Nationalpark. If you are looking for recreation, you should discover the area on one of the numerous cycling- and hiking trails. If you are looking for a lively atmosphere, pay a visit to the town of Waren. This is also the main starting point for boat trips along the lake district. Small and bigger visitors will love the Müritzeum where you can learn everything about flora and fauna of the region. Scarily beautiful is the Penzlin castle where you find the only museum about witch hunting in the whole Mecklenburg region. Lovers of cultural events should not miss to attend a concert in the Neubrandenburg church. The beautiful setting and the breathtaking acoustics are a unique experience you will never forget.